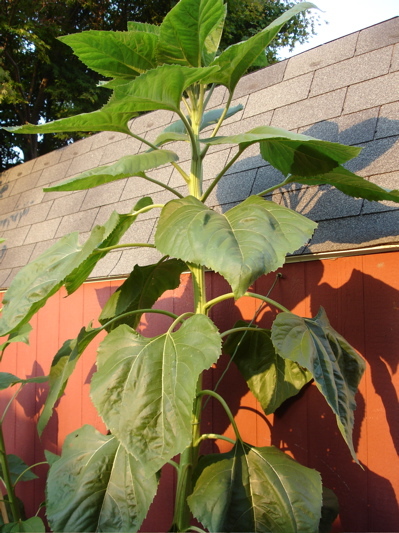 Gardening Mishaps and Triumphs—Too bad we can’t live on sunflowers. 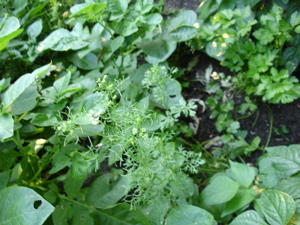 The first year gardening has been a mixture of successes and failures so far. 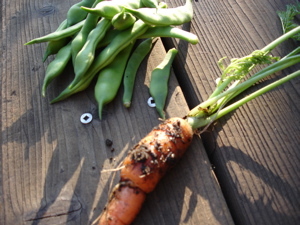 It’s a good thing we don’t actually have to grow our own food (yet) because we’d certainly starve. It’s all a learning process and I don’t get too upset about it. Today we’re going to pull out some of our failures and plant the seeds of our success. 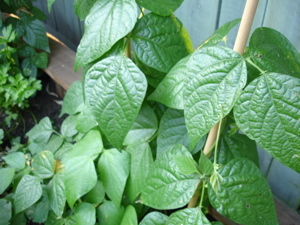 The Romano beans look healthy enough, but each of the two plants has only produced about 6 beans. Is that normal? 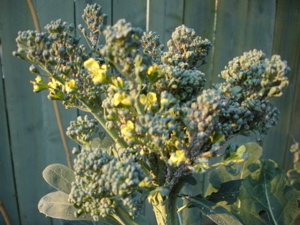 The broccoli was tiny one day and flowered the next but covered with aphids the entire time. Lady bugs right? 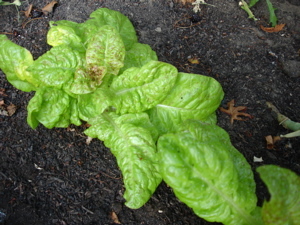 The red speckled lettuce has been consistently good and pest free! Starting to bolt now though. 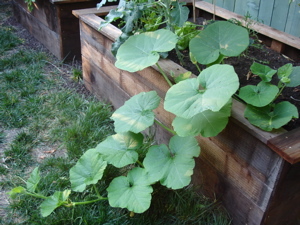 The squash start we bought from the Temescal farmers’ market is very happy in our yard. It’s beginning to march across the grass toward the deck. With any luck we’ll have some lovely French pumpkins. 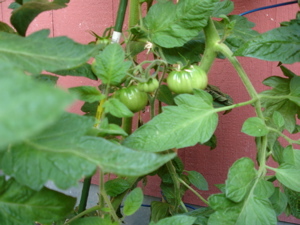 The tomatoes bought from the same woman a few weeks earlier are likewise doing wonderfully. It’s a jungle in there! This is the biggest mystery.The peas were started from seed. Two plants. One did great at first. The other was stunted. 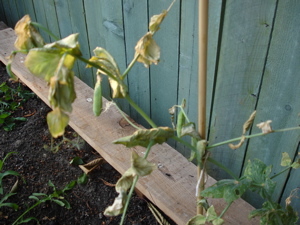 The one that did well produced about 5 pea pods before shriveling up. Too much water? Not enough? No visible pests. I know the soil is good. We paid a lot of money for it! Here’s our Romano bean harvest! There’s more delicious carrots where this one came from! Mishaps not pictured: Beets and chard with leaf miner. Kale covered in aphids. Yuck! I’m so happy we live in California and we can basically start over! 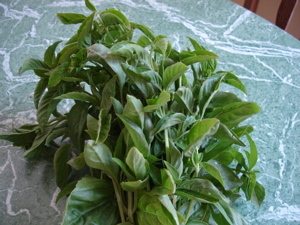 A bunch of beautiful basil purchased at the farmers’ market. How do they do it?